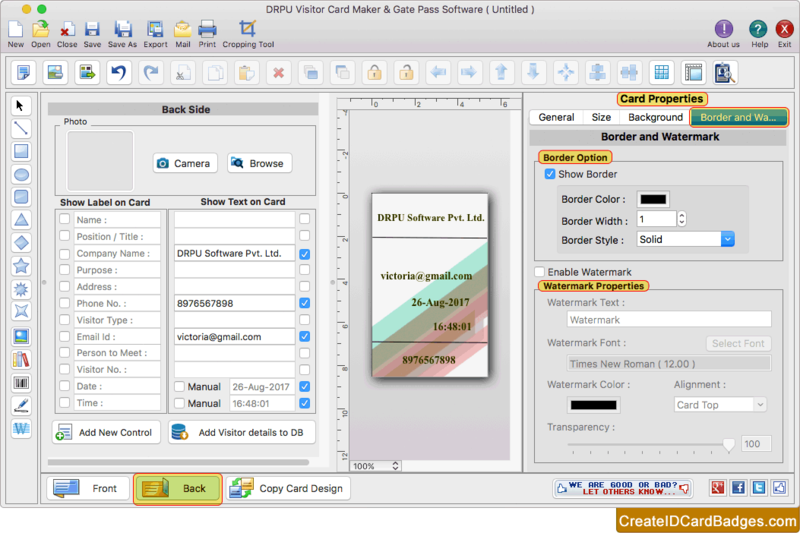 Select any one pre-loaded template and click on OK button. Design visitor ID card by adding details of visitor on card. 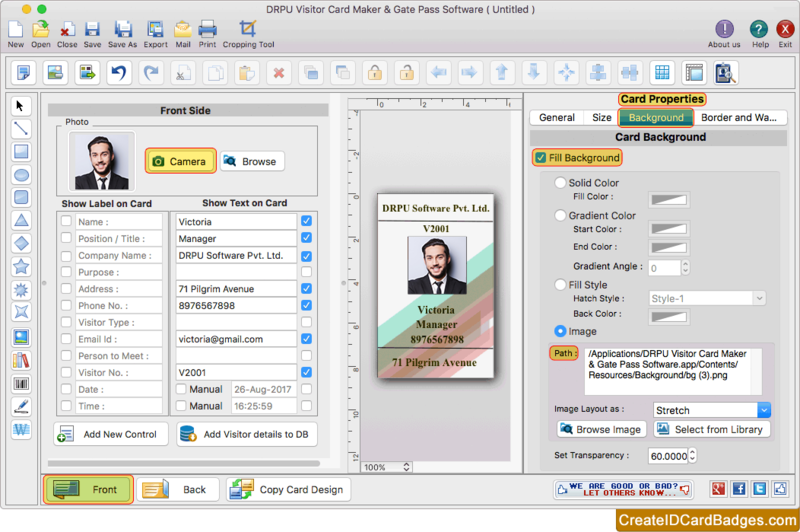 Program has feature to add photo, barcode, signature and text on card. Now design back side of visitor card. You can add visitor details to the database for maintaining visitor record. 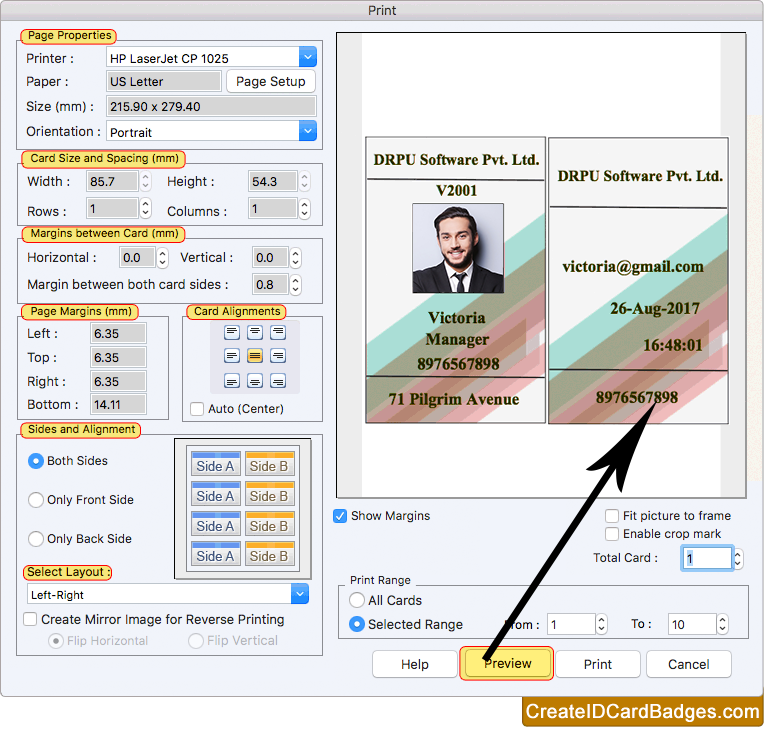 To print designed visitor ID card, adjust various print settings and click on Print button. 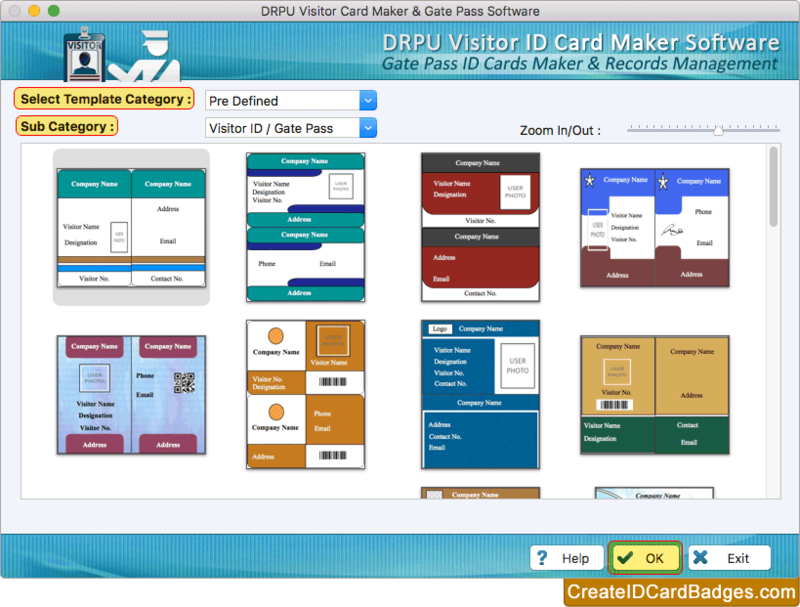 Using Preview option you can see the preview of visitor ID card.